22 Yr/Old Fatally Struck by Two Taxi Cabs in Manhattan - Pulvers, Pulvers, Thompson L.L.P. An unfortunate car accident took place Thursday, April 10th in Manhattans Upper West Side. 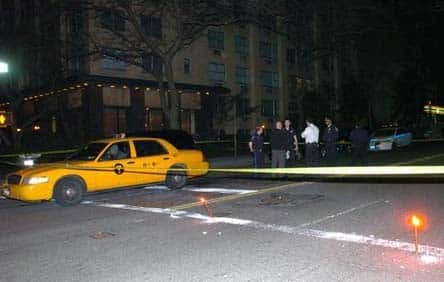 Around 11:30 pm a 22 year old New Jersey resident was crossing York avenue around 84th Street when she was struck by a southbound taxi cab. Immediately after the first collision she was hit by a northbound taxi. The victim was rushed to the New York Cornell Hospital where she was pronounced dead. Both drivers stayed at the scene of the accident but no charges have been filed yet. If you have suffered any injuries due to taxi cabs in Manhattan, contact one of our personal injury attorneys at 347-354-4676.